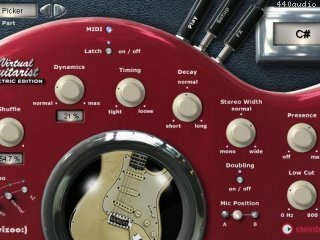 Virtual Guitarist 'Electric Edition' is the new rythm guitarist for anyone needing electric guitar tracks. This VST instrument is based on real recordings, yet is as flexible as a synthesizer. 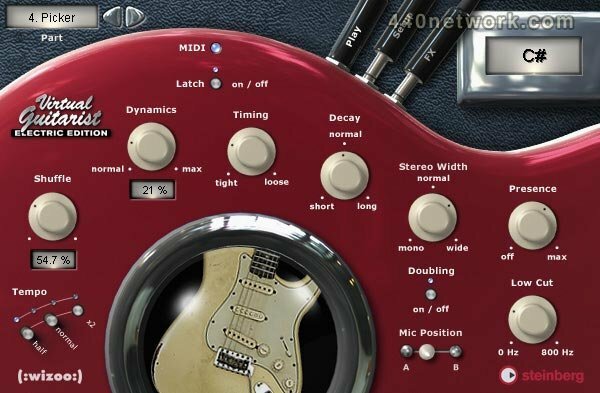 Featuring 29 different players from the 50's to the present day, Virtual Guitarist "Electric Edition" just drips authenticity while offering unrivalled playability and outstanding tempo and groove flexibility. Also included is a fully featured multi-effects board, useable both as a separate plug-in in any VST audio path or integrated in the 'Electric Edition' instrument. It's so easy to use: Choose a player - select the chords, and it plays perfect guitar tracks. Countless variations can be created with settings for syncopation, phrasing and long chords. The creative options are further expanded with variable shuffle, dynamics and track doubling.